The Toyota Motors of Japan has many world class cars in the Indian automobile market. The Toyota Kirloskar India Private Limited is the Indian subsidiary of the Japanese firm. The launching of the Etios Liva based on the sedan Etios marked the entry of the TKMPL in to the hatchback segment of the Indian market. Watching the success of the crossovers in the market the company has launched the Etios Cross based on the Liva in May 2014. The Toyota Etios Cross hatchback comes in 2 petrol and 2 diesel variants. Among the petrol variants the Etios Cross 1.5G will be the base variant and the Cross 1.5V will be the top variant. For the diesel 1.4 GD will be the base and the Cross 1.4VD will be the top variant. 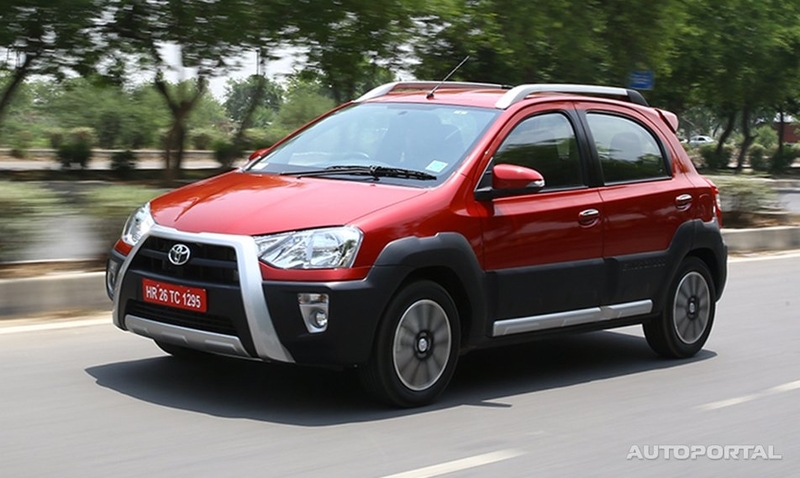 The price for the Etios Cross varies from Rupees 6.23 to 7.72 lakh. The Etios Cross is different from the Liva as it is more like an SUV which can be used like a hatchback for daily travel. Externally more SUV like features can be seen on the Cross. The silver bull bar and the skid plate along with the black bumper, an aggressive grille, extended headlamp clusters with halogen lamps and large fog lamps on the front bumper make the front fascia muscular. Other external features like black cladding on all the three sides with silver skirting, a rear spoiler, roof rails with 55 kg loading capacity and the carving of the name on the claddings make the Cross a mini SUV. 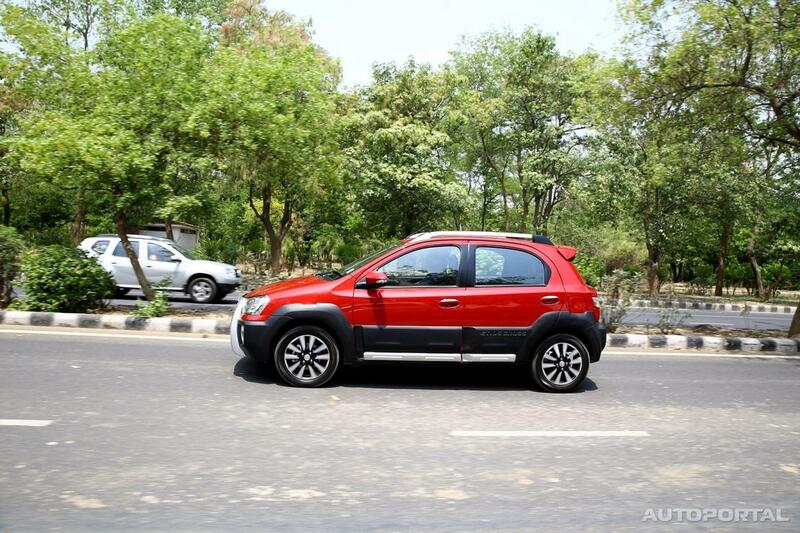 The Etios Cross has a cabin with modern looks. The standard cabin features of the Etios Cross include an engine immobiliser, central and child lock facilities, a manual AC, power windows, internally operated body coloured ORVMs with blinkers and a 2 Din music system. Top variants have 2 air bags, ABS, EBD and Bluetooth connectivity for telephony additionally. The Etios Cross gives decent mileages. The diesel versions powered by 1364 cc, 67 bhp, and 170 NM torque engines give mileages of 23.59 kmpl. Two types of engines are used for the petrol variants. The1197 cc volume, 79 bhp and 173 NM torque engine gives mileages of 17.71 kmpl and the 1496 cc, 89 bhp engine mileages of 16.78 kmpl. The dimensions of the Etios Cross are 3895 mm length, 1735 mm width, 1555 mm height and 2460 mm wheel base. The suspensions are McPherson struts at the front and Torsion beams at the rear. Stylish compact exteriors, decent mileages, affordable prices and a better build quality are the plus points of the Etios Cross. The competition comes from the likes of the Volkswagen Cross Polo, the Ford EcoSport and the Fiat Avventura.